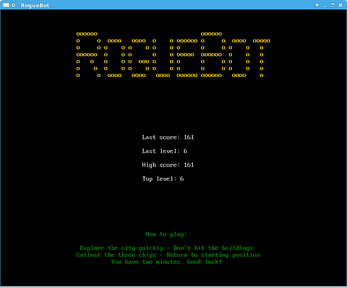 Welcome to RogueBot! What you have here is a retro arcade game of skill, planning and a little luck, that you can play on your coffee break. 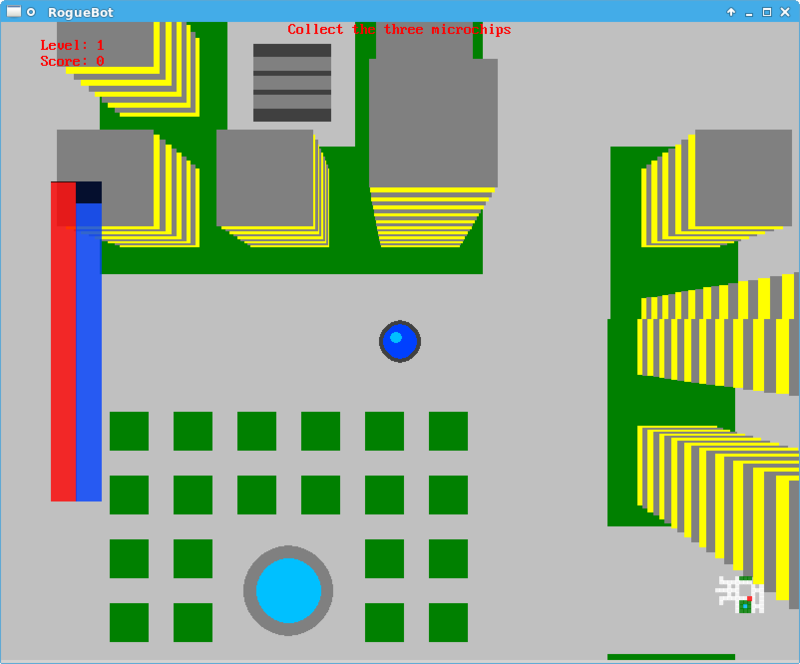 Explore the city, collect the three microchips and return to the starting point (it will appear on the minimap) to complete a level. There is an infinite number of levels, and they never repeat. 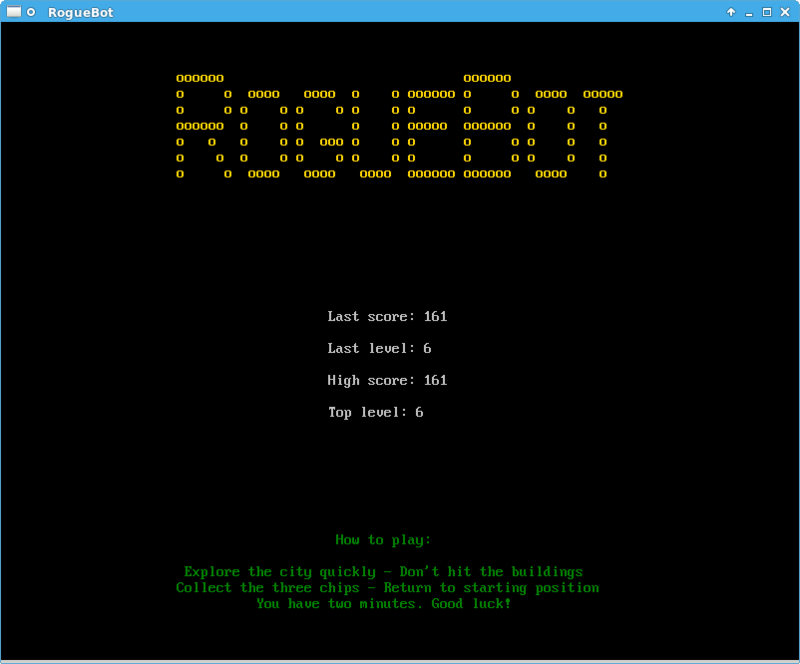 RogueBot is best played with a gamepad, and if one is connected it will override the cursor keys. 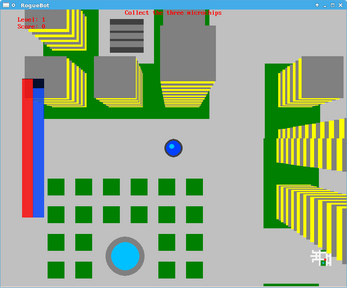 Press Space or button 1 to start/pause the game, and Escape to exit. 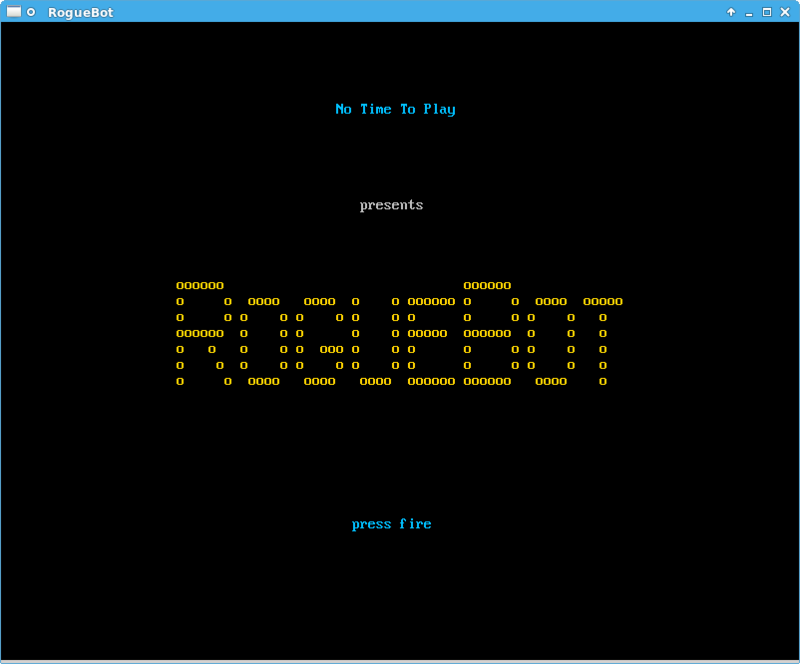 If you want to know how fast it's running, press F at the title screen to toggle the framerate counter (only in the desktop edition). That's about all. for the online edition, a reasonably modern PC and any browser with HTML5 support; gamepads are supported from Firefox 31 on -- can't say about other browsers. 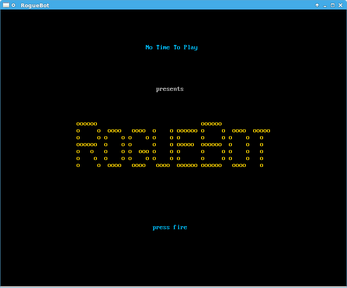 A bit of history: RogueBot was started in a hurry so I could enter it in the Procedural Generation Jam 2014, but since there wasn't enough time I submitted just the level generator and graphics engine. The original jam submission can still be downloaded for free below. Disclaimer of warranty: the desktop editions are provided AS IS. In particular, I can't promise the game will run on your machine; otherwise it doesn't save to disk, connect to the Internet or anything like that. To play the game, just unpack and run. Some Windows versions may warn you that the game file is untrusted; just tell it to run the game anyway. The Linux edition was built on Mageia 4, and tested on Linux Mint 17 (based on Ubuntu 14, "Trusty Tahr"). It's known not to run on older distributions such as Salix OS 14. You can run the Windows edition under Wine, it's much slower but works.